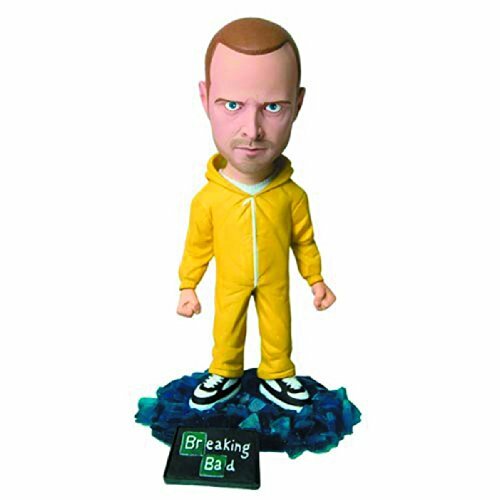 This unforgettable figure features Jesse in his iconic yellow hazmat suit. Everybody's favorite dropout stands victoriously on the translucent blue crystals Heisenberg's empire was built upon. Relive the tense, edge of your seat excitement as Mezzo's Breaking Bad Bubblehead stares at you; nodding solemnly as if to say "Go ahead bah, make your move"!